I. Huge Bio-Tech companies seeking approval to release millions of Genetically Modified mosquitoes in Florida! II. Ron Paul joins Senator Rand Paul in fighting 'Common Core' curricula. This fight may be the most important in all history for control of our precious children's minds. III. Mitt Romney is said to have changed his mind about running for President in 2016 because of his Mormon religion. Is the "White Horse Prophecy" still in play? "Thought to cause no harm to other animals" is a most disturbing choice of wording.
" KEY WEST, Fla. (AP) -- Millions of genetically modified mosquitoes could be released in the Florida Keys if British researchers win approval to use the bugs against two extremely painful viral diseases. Never before have insects with modified DNA come so close to being set loose in a residential U.S. neighborhood." For those people who have learned about the dangers of eating Genetically-modified foods, this news story should cause immediate concern. 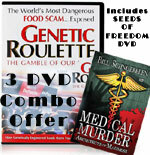 If these researchers are as deceptive as are the producers of GM foods, the population of southern Florida could be under a threat so widespread and so potentially out of control as to stagger the imagination. "This is essentially using a mosquito as a drug to cure disease', said Michael Doyle, executive director of the Florida Keys Mosquito Control District ... Dengue and chikungunya are growing threats in the U.S., but some people are more frightened at the thought of being bitten by a genetically modified organism. 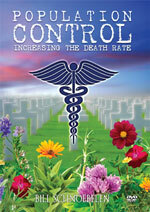 More than 130,000 people signed a Change.org petition against the experiment." Now, here is the frightening part of this entire experiment.
" 'Enter Oxitec, a British biotech firm that patented a method of breeding Aedes aegypti with fragments of genes from the herpes simplex virus and E. coli bacteria as well as coral and cabbage. This synthetic DNA is commonly used in laboratory science and is thought to pose no significant risks to other animals, but it kills mosquito larvae." Both herpes and E. Coli bacteria are deadly. Before scientists release millions of Genetically-modified mosquitoes among the general population, they need air-tight studies which conclusively proves that the synthetic DNA being used here definitely does not pose any risk to humans. The words "thought to pose" and "significant risks" bother me greatly. I want scientists to tell us that there is absolutely no risk to humans. Scientists have an historical record of being wrong. We cannot be wrong about releasing millions of GM mosquitoes amongst an unsuspecting general population! I would be very concerned about being stung by a GM mosquito! "Oxitec's lab workers manually remove modified females, aiming to release only males, which don't bite for blood like females do. The modified males then mate with wild females whose offspring die, reducing the population ... But critics accused Oxitec of failing to obtain informed consent in the Caymans, saying residents weren't told they could be bitten by a few stray females overlooked in the lab." Even if only male mosquitoes will be released, the film, "Jurassic Park" conditioned me that "nature finds a way" to defeat scientists! Can you imagine the arrogance of these Illuminati? They actually view reduction in world population as "benevolent genocide"! Our Illuminati government shares this goal. What better way to sow death among the population than to set loose genetically modified mosquitos? This entire operation sounds risky to me, and I have never trusted government officials to have my best interests at heart. Maybe the initial group of GMO mosquitoes will be benign, but at the right moment, probably after Antichrist is on the world scene, these GMO mosquitoes might carry deadly disease. "This week, events around the country will highlight the importance of parental control of education as part of National School Choice Week. This year’s events should attract more attention than prior years because of the growing rebellion against centralized education sparked by the federal Common Core curriculum. The movement against Common Core has the potential to change American education. However, anti-Common Core activists must not be misled by politicians promoting “reforms” of the federal education bureaucracy, or legislation ending Common Core while leaving all other federal education programs intact. The only way to protect American children from future Common Core-like programs is to permanently padlock the Department of Education." We disagree with Mr. Paul's solution. He cannot possibly generate enough political support necessary to shut down the Department of Education, just like he was unable to force an independent audit of the Federal Reserve. Mr. Paul is advocating a "Hierarchical" solution; we are advocating a "Networking" solution, where tens of millions of American parents yank their precious children out of Public Schools and either send them to a private school, or homeschool, or sign up for an online computer class. My son, Danny, used an online course for the last three years of his schooling and loved it. This issue is going to be debated from now through the November, 2016, Presidential election. Jeb Bush is going to powerfully promote Common Core while dozens of Conservative Republicans will oppose it. 'Common Core' may turn out to be the most powerful issue of this election. 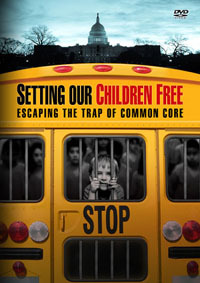 The title of our Common Core DVD is ", “Setting Our Children Free: Escaping The Trap of Common Core”. Is this the issue that will bring this type of revival? 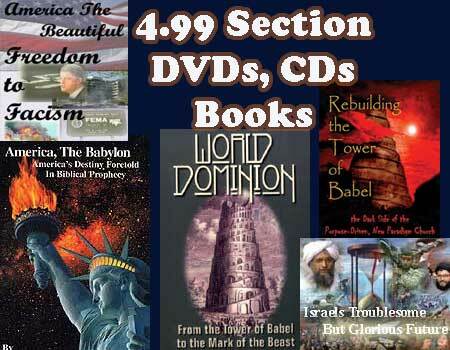 Ray Moore, Exodus Mandate, and producer of "IndoctriNation" will be the featured speaker. We need money to fly speakers in to our studio in some instances and to fly our editor in some other instances, as well as trips to several HomeSchooling shows. We need to buy some additional equipment. In short, we need your help in raising the funds necessary to complete this project. Please pray to see what the Lord would have you do. III. Mitt Romney is said to have changed his mind about running for President in 2016 because of his Mormon religion. 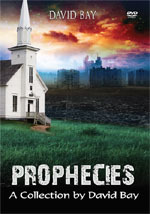 Is the "White Horse Prophecy" still in play? "WASHINGTON — A prominent Republican delivered a direct request to Mitt Romney not long ago: He should make a third run for the presidency, not for vanity or redemption, but to answer a higher calling from his faith. Believing that Mr. Romney, a former Mormon pastor, would be most receptive on these grounds, the Republican made the case that Mr. Romney had a duty to serve, and said Mr. Romney seemed to take his appeal under consideration." These next words seem to point to the Mormon prophecy known as the "White Horse Prophecy". What is that "something for his country" that has seized Mitt Romney? 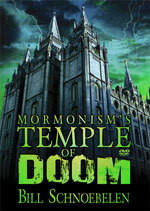 As former Mormon/Freemason, Bill Schnoebelen, reveals on this DVD, "Mormonism's Temple of Doom", the Mormon Church has a prophecy known as the "White Horse Prophecy". This prophetic utterance is also known as the prophecy of the “One mighty and strong.” This is not public, formal LDS doctrine, but it was taught by many leaders of the Church and is still taught today. It is said by LDS leadership that when the Constitution is in dire peril, one will come who is mighty and strong. He will come riding (figuratively perhaps) on a white horse and will wield awesome political and spiritual power. This mysterious priesthood elder would somehow seize control of the US government to prevent the total abrogation of the Constitution. He would assume total power and create an LDS “Kingdom” in America. At that time, this “one mighty and strong” would be proclaimed the new “Prophet “ (First President) of the LDS church and would also be president of the United States. Thus, he would wield both supreme political power of the most powerful nation on earth and also be the “Prophet, Seer and Revelator” of the LDS Church. To a Bible-believer, all of this sounds chillingly like the description of the “man of sin” (2 Thess. 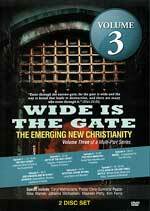 2:3) or the Anti-Christ. He will be a great political leader (Rev. 13:2) but with a religious component (Rev. 13:4). He will control commerce and especially food distribution (Rev. 13:17). But most Mormons do not see that connection. 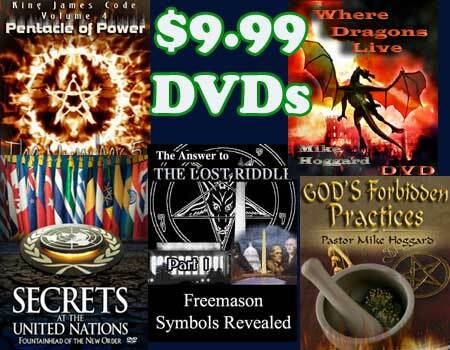 They believe he will be a mighty spiritual and political leader who will save the USA from destruction and ultimately bring peace to the world. If we see a renewed push to the White House from Mitt Romney which is based upon his Mormon beliefs, and if the threat to the U.S. Constitution remains strong, we may see a fulfillment of this "White Horse Prophecy"! 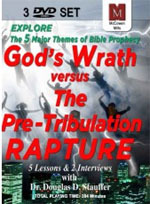 "God's Wrath vs Pre-Tribulation Rapture"
1. The Rebirth of Israel. 2. The Realignment of the Nations. 3. The Rapture of the Church. 4. The Return of Christ. 5. 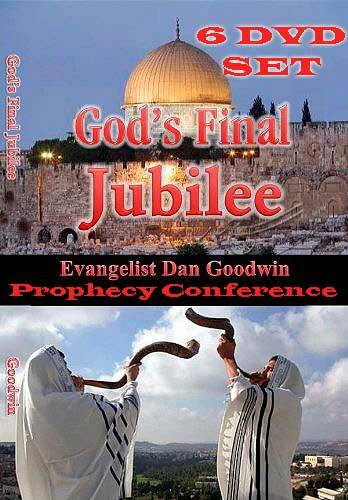 The Revelation of the Millennium and Eternity Future. Costing hundreds of lives and causing hundreds of billions of dollars' worth of damage, dozens of disasters, including devastating earthquakes, raging fires, hurricanes, floods, tsunamis, and tornadoes, have hit America, and always within twenty-four hours of putting pressure on Israel. 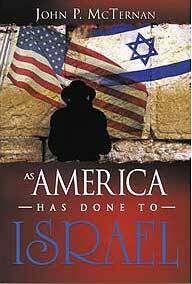 What can you do as an individual and what can America do to change the direction of our country in relation to Israel to prevent an increasing number of calamities? 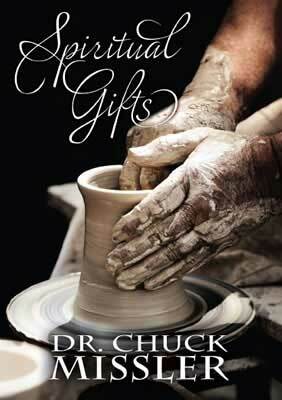 This book has many pictures, some of which, have never before been released. These unique pictures include the Nazi movement in Long Island, New York prior to World War II ; the US Navy saving the Zionist movement in Palestine during World War I ; and many more.